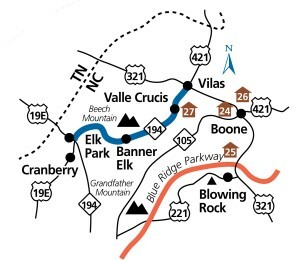 A 75-mile section of the paved recreational Blue Ridge Parkway, which follows the scenic crest of the Blue Ridge Mountains from Blowing Rock to the Virginia state line. 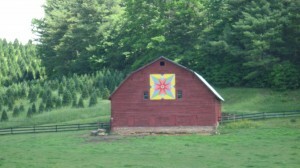 This well-known scenic route was designed as a recreational road along the crest of the Blue Ridge and other mountains of the Appalachian chain. Hence there is little commercial truck traffic and few business establishments along the parkway itself. The road passes through a seemingly endless array of deep forests, pastoral fields, and breathtaking views. Historic sites, hiking trails, and numerous overlooks break up the trip. Though the parkway is hardly undiscovered, it is still one of the premier touring routes of the eastern United States. Travel season: Year-round; best season is April through October. 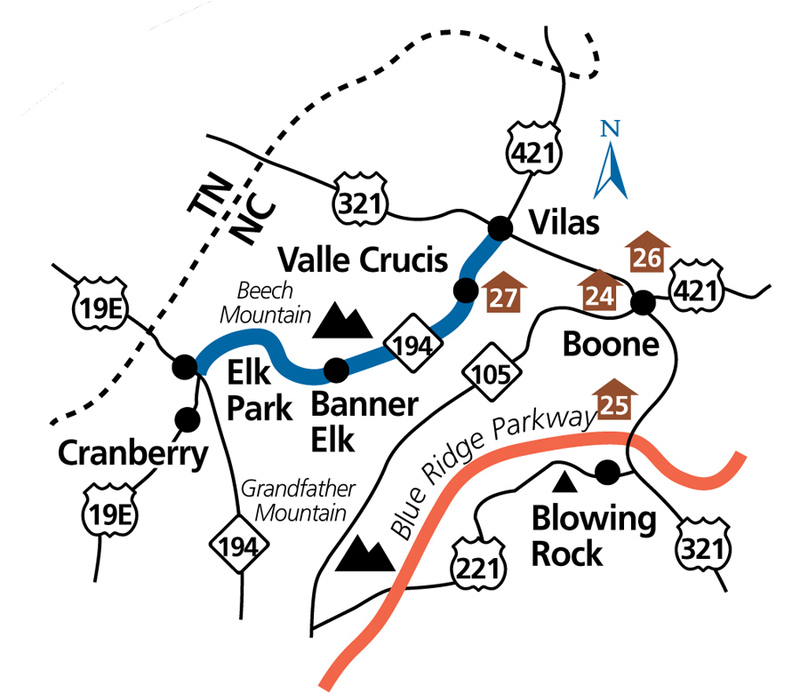 Special attractions: Blowing Rock, Boone’s Trace , E.B. Jeffress Park, Northwest Trading Post, Dougthton Park, Brinegar Cabin, and Cumberland Knob, hiking, scenic views, fall colors.